TORONTO, ON – Muddy York Brewing has announced the release of a fruit-flavoured edition of its first sour ale. Everything you love about the original [Fox Hunter] is represented here; a crisp, clean finish, and light body. The addition of kiwi adds another layer of tartness on the tongue and a pleasant aroma on the nose. 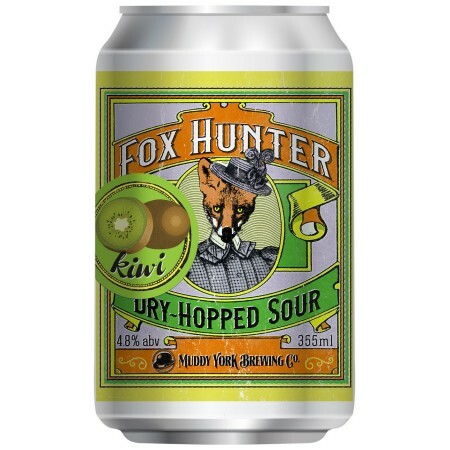 Fox Hunter with Kiwi is available now in 355 ml cans and on tap at Muddy York.